Book your airport transfer to Jewels Dunn's River Resort, ride with us in our private ground transportation, exclusive to Jewels Dunn's River Resort, our agents are waiting at the airport right now, to take you to paraidise. Booking your Jewels Dunn's River taxi transfer allows you a sense of comfort, yur agent will be waiting to meet and greet you at the airport. Book your hassle-free transfer and enjoy the luxury in our fully air-conditioned vehicles. Follow the road lined with palm trees to our resort, and you’ll feel as though you’re on a plantation. Jewel Dunn’s River Resort & Spa Ocho Rios, Curio Collection by Hilton offers an all-inclusive experience exclusively for adults 18 years or over. This resort near Ocho Rios offers many on-site activities, and is convenient to attractions on the northern coast of Jamaica. 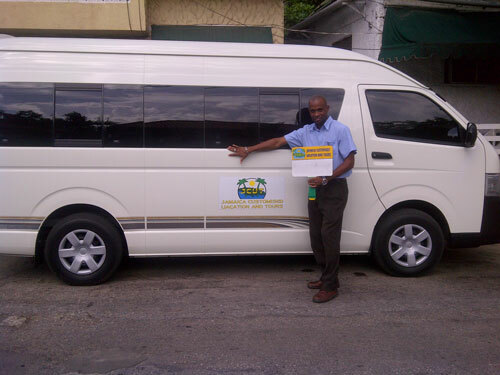 Take our complimentary shuttle to and from Sangster International Airport in Montego Bay. Your guest room features complimentary WiFi; a mini-fridge stocked with juices, sodas and water; a four-poster king-sized bed and a private balcony. Upgrade to a Butler Suite for an ocean view, more space, and personal butler service. Six restaurants and six bars ensure you’ll always be able to find the meal, cold beverage or snack you crave. From a breakfast buffet at Coral Café to fire-oven pizza to elegant dining at Platinum, great food is always close by. Watch the sun go down at Emerald Tree Lounge bar, and swim up to Jasper’s Chillin Pool & Piano Bar for drinks by day and cool jazz by night. Watch a dive-in movie as you float in Falls Pool, or unwind on one of two hot tubs. Buy souvenirs in the Treasure Chest. Have an invigorating therapy at Radiant Spa, get toned in Cut Fitness Center, and play at nearby Runaway Bay Golf Club or at the on-site 9-hole pitch and putt course. Hold your wedding or business event in over 4,000 sq. ft. of event space. These people are easy to deal with, the online agents are exceptional, they were patient and easy to talk to, our driver was on time. he help us with our bags and took us to our resort safe, very cautious driver, I must say I will definitely recommend JCVTT to everyone I know traveling to Jamaica. I am very impressed, our flight was delayed, we came in late but these guys was there waiting when got out. The agent girl was very nice, our driver stopped and allow us to get Jerk chicken before our trip. Thanks very much, we appreciate everything! We enjoyed our transport, it was very relaxing, so easy. Great response time and your price is competitive with what we have paid with other companies. Thank you for making this easy!